Up on the witness stand, Rhoda Burke was talking about her Dodge City poker machine at Coley's Lounge, at Third and Porter. She explained how she only paid off the people she knew who were lucky enough to win money on her machines. A stranger might turn out to be an undercover officer. "It was against the law, and you knew that? the prosecutor asked. The guys who owned the poker machine stopped by once a week to "square up" with the owner, reimbursing her for the winnings she paid out. About her machines, "You don't always win," she said. Usually, "you lose." The government has alleged that Ligambi and a few pals named "Ant" and "Mousie" muscled in on the guys who used to own the video poker machines, and took over the business. Ligambi clams it was just a legitimate business deal they couldn't refuse. Burke said she collected between $200 and $300 a month from her poker machine. "That helped me pay my utility bills," she said. In recent years, the machines were owned by mobster Anthony Staino, doing 97 months on racketeering and extortion charges from the last mob trial. "He was a very nice man," Burke said of Staino. "He was very nice to me." Staino, according to the government, was partners with Ligambi and mob underboss Joseph "Mousie" Massimino in JMA, a company formed in 2001 to rent video poker machines to bars and restaurants. Mousie is doing 188 months after being convicted of racketeering conspiracy. The video poker machine Staino left behind is still at Coley's, making money. "I still have it," she said. She did not mention whether she reports those earnings to the IRS. On cross-examination, Ed Jacobs, on behalf of Ligambi, pointed out that Burke was still in business at Coley's, and so was her poker machine, because nobody in the government cares about punishing anybody except mobsters. "You're not in the slammer?" he asked. And the government can take her machine back any time if they want it, she added. Frank DiClaudio, owner of DiNic's Tavern at 15th and Snyder, said he had an agreement with the government that anything he said in court couldn't be used to prosecute him. He kept up to three Dodge City video poker machines in his tavern. "They've been around forever," he said. "It helps pay the bills." 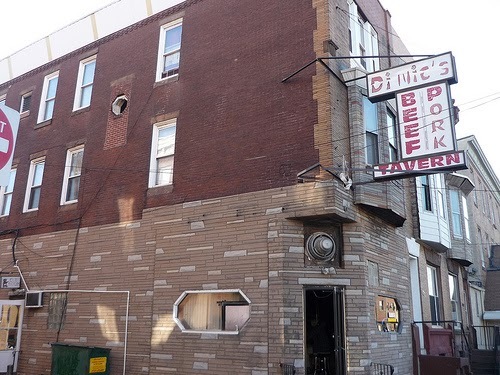 DiNic's is a neighborhood bar that serves roast pork and beef sandwiches. His customers come in, grab a beer, and play video poker. If they're lucky, they win cash payouts of between $20 and $300. The customers usually lose, but they keep playing anyway, DiClaudio said. "In the end, they're gonna play to make up their losses." The usual split, DiClaudio said, was he kept 70 percent of "the drop," or earnings from the machines, which usually amounted to between $500 and $600 a week. The vending machine company got the remaining 30 percent. "I was responsible for payouts," DiClaudio said. Despite the payouts, "It's a revenue stream." 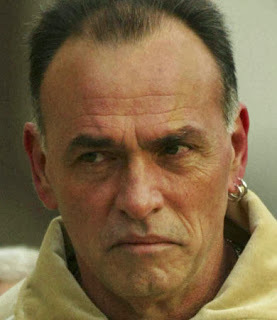 Back in 2007, mobster Gaeton Lucibello stopped into DiNic's to pitch his company's video poker machines. "Give us a shot," he asked DiClaudio. DiClaudio said he had known Lucibello for a long time. "His sister lived across the street from my aunt," he explained. Lucibello was a real gentleman as a customer. He'd come in, order a couple of drinks, and leave a $100 bill on the bar, saying keep the change. Lucibello's generosity made him a popular customer. So DiClaudio decided to rent two video poker machines from JMA, and he kept one from his old vendor. When state troopers raided his tavern in 2009, they confiscated all the video poker machines and arrested DiClaudio. After he got out of jail, DiClaudio got the machines replaced "within a day or so," he said. "Did you continue to use the machines for illegal gambling," the prosecutor asked. On cross-examination, lawyer Jacobs on behalf of Ligambi, asked DiClaudio if he ever had to do any jail time for running an illegal gambling operation. "You admit to 20 years of video gaming and it doesn't come back to bite you?" Jacobs asked. Lucibello is now serving a 51-month prison term after pleading guilty to racketeering conspiracy charges. The last witness of the day was Pennsylvania Trooper Glenn Hopey. 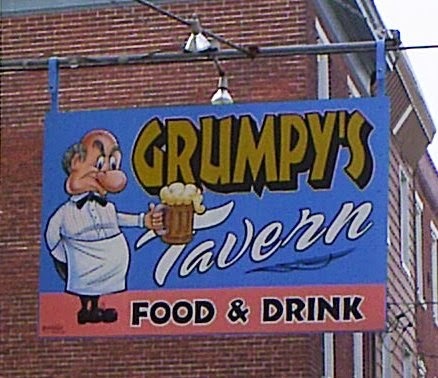 Hopey told how in 2009 he raided 22 bars, restaurants and other fine establishments throughout South Philly, including Grumpy's Tavern at 800 Cross Street. "There were a total of three [video poker machines] that came out of Grumpy's," the trooper said. Pictures of the machines were flashed on the screens of several court computers. "It appears to be a Dodge City," the trooper testified. The trooper was just warming to the subject of the raid on Grumpy's and other establishments when Judge Eduardo C. Robreno announced he'd heard enough. "Let's just adjourn," the judge said. "It's been a long week." Does anyone know if this trial will be in session this week? Tuesday through Friday is current schedule. Next week, only Monday. Thanks George...if u don't mind me asking which room is the trial taking place in? Thank you for all your work over the years, I am a long time fan.